WASHINGTON, D.C. – Safety advocates and two parents who unintentionally hit their children when backing up sued the U.S. Department of Transportation (DOT) today, asking a court to order the agency to promptly issue a safety rule mandated by Congress in 2008 to set federal standards on vehicles’ rear visibility. DOT estimated that the rule it proposed in 2010 but has failed to finalize would prevent 95 to 112 deaths and 7,072 to 8,374 injuries each year when implemented. Congress ordered the rule issued by 2011, but the administration has repeatedly delayed and has now postponed the rule until 2015. Each year, more than 200 individuals are killed and 18,000 injured in “backover” crashes. Drivers using all three mirrors cannot see a blind zone several feet high directly behind their vehicles. Forty-four percent of those killed in backover incidents are children under 5 years old. Each week, on average, 50 children are injured, two fatally, by backover crashes. DOT initially made progress in the rulemaking, issuing a proposed rule in December 2010. In November 2011, the agency sent its final draft of the rule to the White House’s Office of Management and Budget (OMB) for review, where it remained for 19 months. Then in June 2013, after DOT had already granted itself three extensions of the February 2011 statutory deadline, the agency withdrew the rule from OMB and pushed the deadline back yet again, to January 2015. DOT claimed that it needs time for more study – even though it has already conducted research it has characterized as “extensive.” DOT’s projected completion date in 2015 is nearly four years after the deadline set by Congress and seven years after the law was passed. 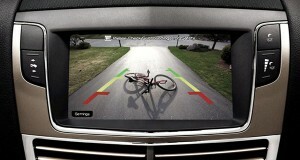 Auto manufacturers have included rear-view camera systems in a growing number of cars, but many cars don’t have them. By DOT’s own estimates, its delay past the statutory deadline has so far allowed between 237 and 280 preventable deaths – almost half of which have befallen young children – along with thousands of preventable injuries. By the same estimates, another 118 to 140 people will die in preventable backover crashes before DOT regulates – even assuming that DOT does not extend the date yet again. The suit today was filed by Dr. Greg Gulbransen, Susan Auriemma, Consumers Union of the United States, Advocates for Highway and Auto Safety, and Kids And Cars, Inc., who are all represented in today’s action by Public Citizen. Auriemma, of Manhasset, N.Y., backed over her 3-year-old daughter Kate in her driveway in 2005, injuring her; Gulbransen, of Syosset, N.Y., backed over his 2-year-old son Cameron in his driveway in 2002, killing him. The 2008 law is named after Cameron. The legal action came in the form of a petition filed Wednesday in the U.S. Court of Appeals for the Second Circuit, in Gulbransen’s and Auriemma’s home state of New York. The petition asks the court to declare that DOT has unreasonably delayed the rule, and to direct DOT and its secretary, Anthony Foxx, to issue the rule within 90 days. The petition argues that the length of time DOT is taking is unreasonable under the Administrative Procedure Act, in light of the timetable set forth by Congress, DOT’s failure to show that Congress’s original deadline “cannot be met” as required by the statute and the cost to human life.